It is better to pre-arrange temporary accommodation for a few weeks so that you have a place to get to from the airport. If you are a state/ territory sponsored migrant, you may get some assistance with temporary accommodation if you inform them of your arrival well in advance. You can also pre-book temporary accommodation by surfing the net using Google to search for 'Accommodation’ and typing in ‘the relevant Australian city’. You may also like to try the website: www.wotif.com If you are single and migrating, you can look up the listings at the airport. Use the free numbers listed there and ask for a quote on the weekly stay. If you are migrating with family, you would need to arrange temporary accommodation for a week or two prior to arrival until you are able to rent an apartment or house. Once your temporary accommodation issue is resolved, you should do the following as soon as possible. Open a Bank Account. You will need a bank account to receive most types of income in Australia including salaries. Please go to any convenient bank close to your residence with your passport and other identification documents to open a bank account. Couples may consider opening a joint bank account. Enrol your children at school. It is compulsory in Australia that children attend school until they are 15 years old. Enquire about the schools in your area and enrol your children in suitable schools. Beginning a Life in Australia - Booklet. The Beginning a Life in Australia booklet is produced by the Department of Immigration and Citizenship (DIAC) and is published online at www.immi.gov.au/living-in-australia/settle-in-australia/beginning-life. Ideally, it should be viewed on a computer as it has links to many websites that will provide you with additional information. The booklet is available in PDF format. The Beginning a Life in Australia booklet is for prospective and newly-arrived migrants, refugees and humanitarian entrants to Australia providing you with a basic introduction to various services. They provide useful national, state/territory and local settlement information. These booklets are made available as PDF files. To read or print the booklets, you will need to have Adobe Acrobat Reader, version 5 or later, on your computer. More information is available on PDF files. The booklet should help you find the answers to most of your queries to start a new life in Australia. 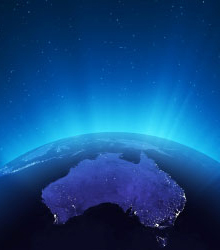 There are six states in Australia: New South Wales (NSW), Queensland (Qld), South Australia (SA), Tasmania (Tas. ), Victoria (Vic.) and Western Australia (WA). The following links should take you to the respective State/Territory government entry points, their online services and contact directories. The first thing to do regarding employment is to register with the local Centrelink office. The facilities at their offices include printing out listings of local opportunities for free, and getting advice on local jobs and conditions. How To Write A CV For Applying For A Job In Australia?